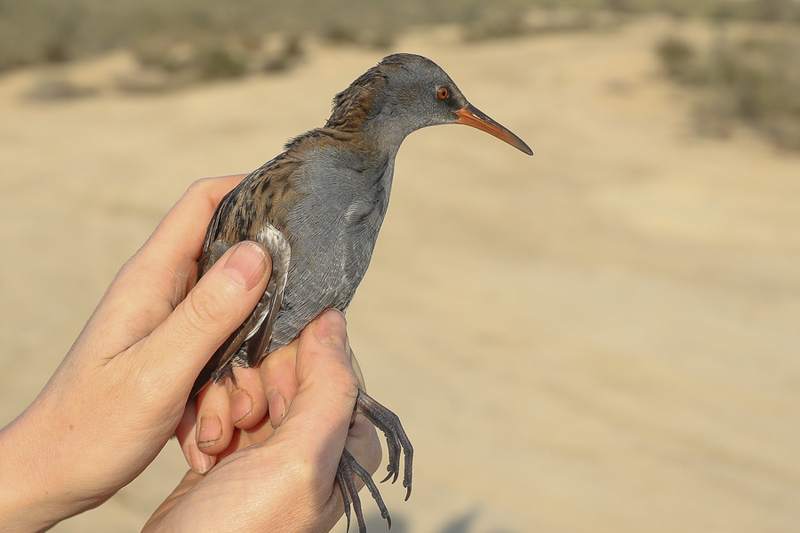 The Water Rail is an uncommon winter visitor to the Gulf and Red Sea areas as well as Tabuk. 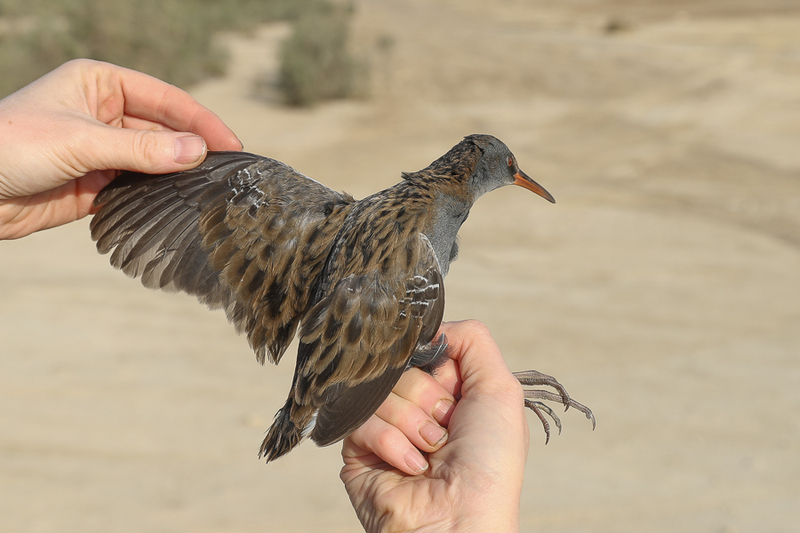 In the Eastern Province it is a scarce breeding resident in small numbers in the Gulf Wetlands but a more common winter visitor. 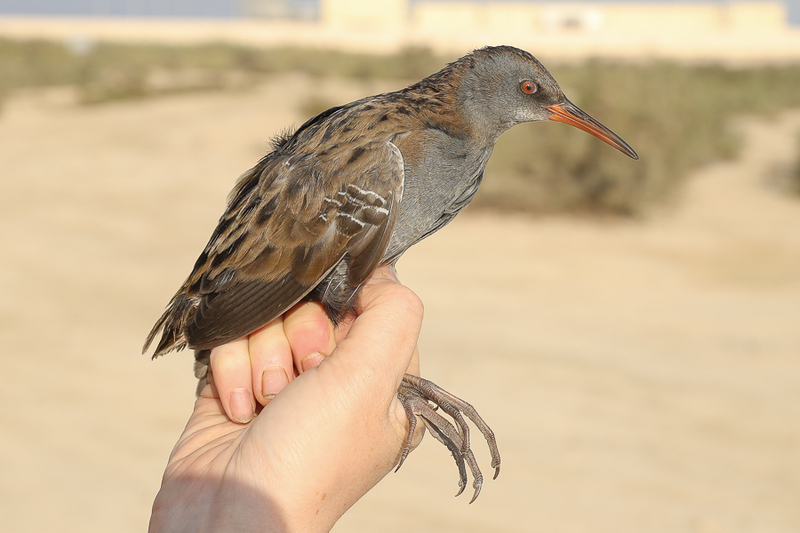 At Jubail birds can be heard calling in the early morning and when we last went ringing I mentioned to Nicole it would be great tp catch one as I had heard a few in different areas including birds calling near to a set of our nets. I was more than surprised when I found one in a net that was set on dry land between two reed beds. This was a new ringing species for me and the site and turned out to be an adult female bird. 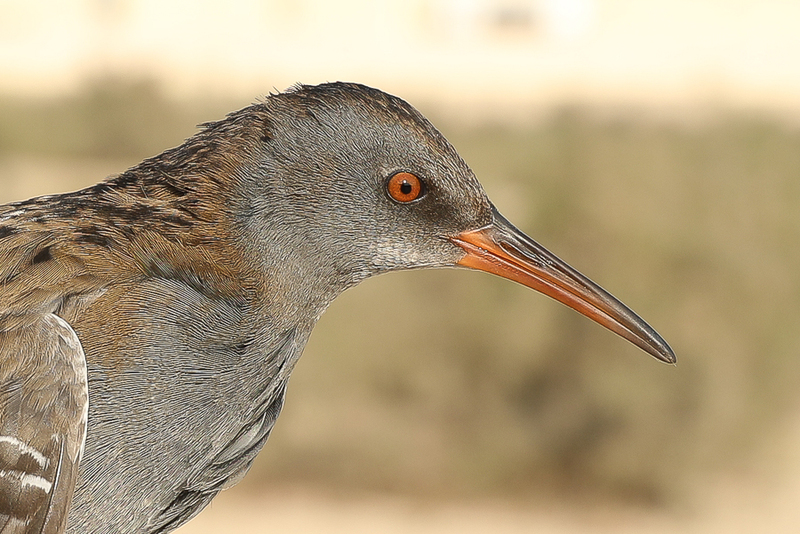 Although birds are regularly heard calling in Jubail they are difficult to see and even more difficult to photograph so trapping one allowed good photos to be taken as well.